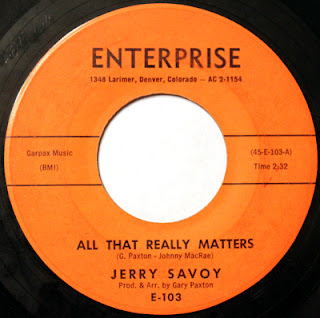 After I wrapped up writing my story on Randy King, I discovered a second single on the Denver-based Enterprise label. This one from Jerry Savoy, and released right before the King 45. 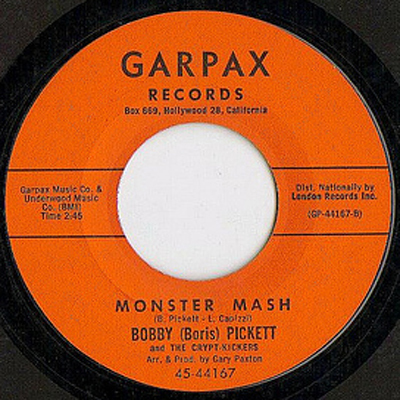 Both sides of the single “All That Really Matters” and “With You” were produced by Gary Paxton. Note Garpax on the label. Garpax would go on to be the label Gary Paxton used to release “Monster Mash” in 1962. 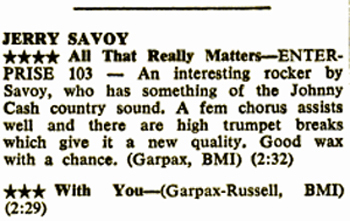 So “All That Really Matters” received favorable reviews. In fact Billboard gave it four stars and deemed that it had “strong sales potential,” on June 16, 1962. No clue what happened to this catchy number, but it didn’t go anywhere. Paxton went on to bigger and better things, and that was that. Of course it didn't go passed me that the Enterprise and Garpax labels look very similar. NOTE: Chart also released Warren Robbe’s “Pick of the Week” / “I’ve Got Nothing” (1072).